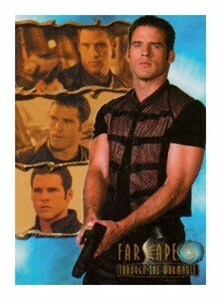 Farscape Through the Wormhole promo card P1 distributed by Rittenhouse in 2004. NrMt-Mt. ONLY ONE AVAILABLE FOR SALE.